Abysmal is the best word to describe the play of the Boston Celtics in the first half in Game One versus the Pacers. The Celtics got the 84-74 win, but it wasn't easy. Marcus Smart's absence was apparent right out of the gate. Jaylen Brown got the start in place of Smart but it was clear the team lacked focus, energy, ball-handling and crisp passing. In that first half, Boston was out-hustled and outplayed by Indiana - the passes were sloppy and lazy - and the turnovers kept adding up. If not for Marcus Morris' 15 first-half points, this game could have been a loss. Give the crew from Indiana some credit. They came to the Garden to PLAY. Their energy was high, and they were focused. NBA Analyst Charles Barkley blamed the Celtics' first-half woes on the team's tendency to "turn on the switch" at their choosing. According to Chuck, "The Nets, Pacers and Clippers play hard every game. The Celtics turn it on an off." My argument is that Marcus Smart, much like Kevin Garnett, has no switch. His power and energy are on all time time. Analyst Shaquille O'Neal agrees: "It took them (Celtics) a little time to adjust to not having Marcus Smart. He does a lot for them." Fortunately, Boston turned their switch on to start the third quarter. Everything changed in the second half for Boston. The energy, intensity and focus were all there. 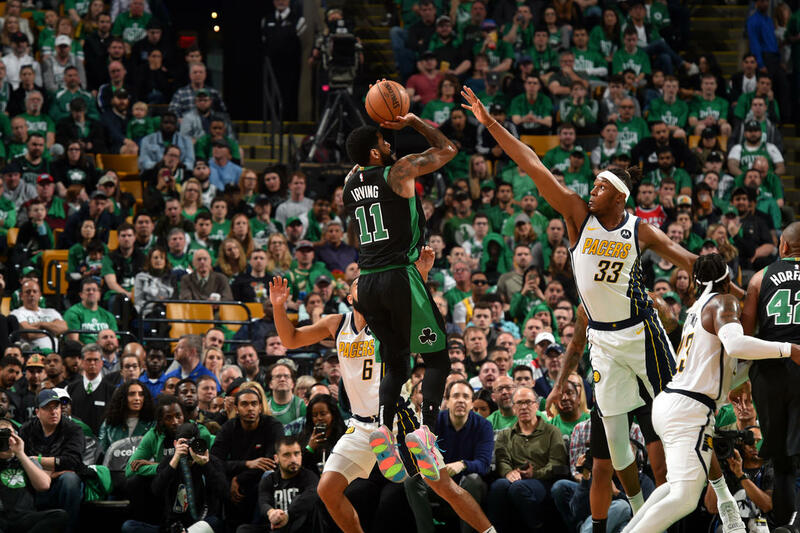 The Celtics talent and new-found energy were too much for the Pacers, and Boston came out with the win. As Kyrie Irving indicated, the team did all the little things to get the win. Accolades to Kyrie Irving. With Smart out, he had a tremendous load on his shoulders, and he carried it very well. Look for my article on Playoff Kyrie later today.